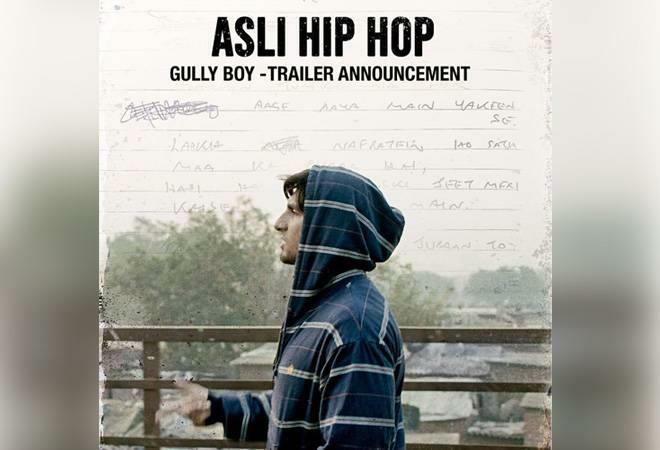 Mumbai, Jan 4: Actor Ranveer Singh on Friday took on a hip-hop style to announce that the trailer of his upcoming movie "Gully Boy" will release on January 9. Also featuring actors Alia Bhatt and Kalki Koechlin in pivotal roles, the Zoya Akhtar directorial "Gully Boy" is a film about Indian street rappers and their struggles. "It is a very special story, one that I am closely attached to. It is set against the backdrop of flourishing desi hip hop scene coming out of Bombay (Mumbai). "It is the story which represents Mumbai in its true sense and the city is my home town, these are my people, this is my language, so this is the story I am really attached to. It's an underdog story about a kid who broke through from great adversity in life to make it as a recording artiste," he added.